MANILA, Philippines – Majority of Filipinos love discounts, bargains and sale. Whenever malls announce a Sale, pinoy shoppers flock and flood their establishments hoping for great finds and deals. It’s funny that the Sale Days always happen on Paydays. Of course, it’s a marketing and sales strategy. Today, July 15, 2015 is once again a payday. 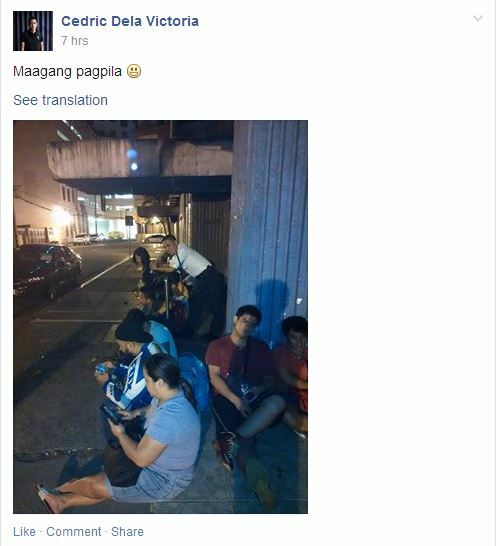 “One Day Millionaires” loiter and ready to spend their entire paychecks. 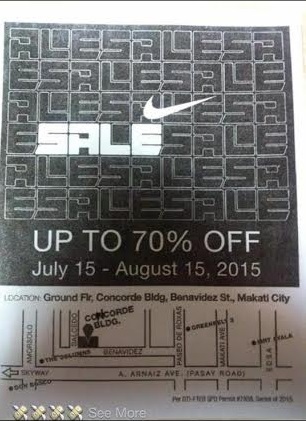 This is also the day that Nike starts their month-long Sale at the Concorde Building, on Benavidez St., in Makati City. As early as 5:00 in the morning, sneakerheads and sports enthusiasts made their cue line in anticipation of the store’s 10:00am opening. By 9:00am, the cue line reached up to a kilometer long. The door opened at 10:00am and the early birds got the early worms. Some were disappointed for the limited Nike products displayed at the store. Aside from sneakerheads and sports aficionados, re-sellers were also present at the venue to take advantage of the big discount. Minutes had passed by after the store opening, the crowd went frenzy after some unruly customers forced their way to the start of the line claiming that they were in the line early morning. Shouting and cussing erupted until all hell broke loose. 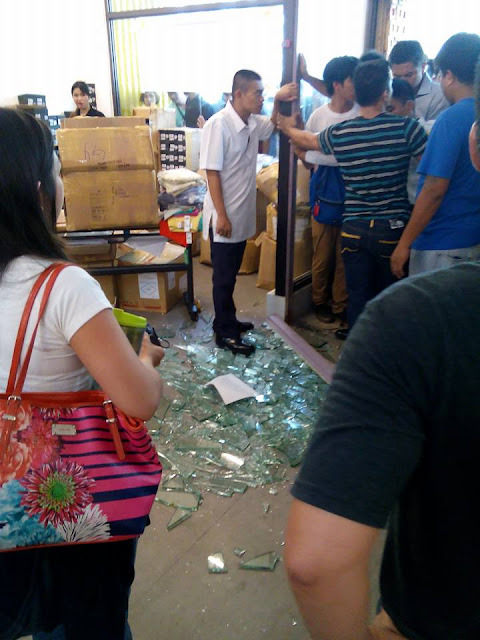 The rowdy shoppers started pushing and shoving the people who were at the front door waiting for their turn to get in until the glass doors and panels shattered into pieces. The Nike Sale event now looks like a bank robbery crime scene. The store security can’t contain the volume of the crowd so they had no choice but seek back-up from Makati Marshalls. Many patrons feared that the store might cancel the sale event due to madness and property damages. But thankfully, they let all of them entered the premise in turns.